Pattern Energy Group Inc. confirmed Thursday its Santa Isabel wind farm sustained no material damage from Hurricane María, but the reconnection date for the renewable energy project is still undefined. “The completed evaluation of the 101 MW Santa Isabel project in Puerto Rico reported no material damage to the turbines or the project. 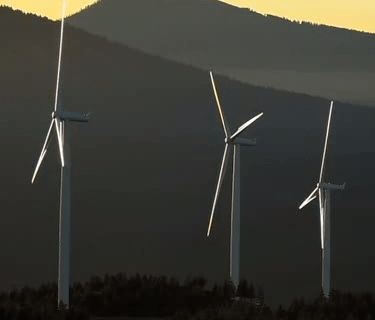 While all of the turbines are operational, at present Santa Isabel has not been reconnected to the high voltage grid and the timing of when the project will be reconnected is not certain,” the company noted. Pattern Energy is working with the Puerto Rico Electric Power Authority (“PREPA”), the offtaker for the Santa Isabel project, to support its broader efforts to restore the high voltage grid so the project can help support providing much needed power to Puerto Rican communities, the private company noted. In a call with analysts to discuss third quarter results, Pattern Energy President Michael Garland expressed confidence that the wind farm will come back online. “We’re optimistic that will be done sooner than later, but it’s very hard to tell in Puerto Rico. As you know there’s been some real controversy going on there,” he said, adding that Pattern Energy relies on how long it will take to fix the island’s electrical backbone that connects the south side to the north. “And that’s really probably the primary thing that would slow us down is when they bring that line on because there’s just not enough to band on the south side,” he said. In the meantime, Pattern Energy is “trying to work with PREPA where they allow us to just run at a lower capacity like 20 percent and 30 percent of our capacity, which would create a large part and disproportion about our megawatts because the wind speeds are such that we don’t hit full capacity very often,” Garland said. “So we could very easily agree with PREPA to for a period of time to lower the capacity output of the plant and still get the majority of the production out of the facility,” he added. Pattern Energy supports the appointment of Noel Zamot to oversee PREPA’s transformation, Garland also told analysts. “We think [that] would be extremely good; a military guy who would come in and kind of help work through a lot of these issues in a more systematic and efficient way,” he said. Meanwhile, Pattern Energy is anticipating that a potential adverse impact of any extended electric grid outage in Puerto Rico will be reflected in its fourth quarter 2017 numbers. Does anyone know if all large wind generators survived in NE PR as well? 44 in South and maybe a few more in NE? How about solar cell farm in Humacao or elsewhere? I saw pictures of the Naguabo wind farm showing the turbines with heavily damaged blades and nacelles. Heard also that the Humacao solar farm which is unfinished didn’t fare too well either. Hey Buddy!, I found this information for you: "Pattern Energy: No damage to Santa Isabel wind farm". Here is the website link: https://newsismybusiness.com/pattern-damage-isabel/. Thank you.